SPORT and Leisure Swifts boss Packie McAllister has urged his team to be more disciplined ahead of Saturday’s West Belfast derby at Donegal Celtic. The Glen Road Heights side are currently bottom of the NIFL Premier Intermediate League with their rivals top of the standings. The new league format will see one club relegated providing the winners of the Amateur League meet the criteria set out by the NIFL. However, McAllister still believes his side can turn things around before the end of the season. “It is something we haven’t looked into, we are just trying to win matches,” said McAllister. “It is going to be a really tough eight or nine weeks. “It is hard to believe that the loss of a few players has affected us so much since last season. “You can have a list of excuses but, at the end of the day, the results haven’t been good enough. “Some of the games have been close, but in the last few games our discipline has been really poor. He added: “Two Saturdays ago, we were 3-0 up on (Lisburn) Distillery and we were cruising. We lost two men and we ended up hanging on. “Last Saturday, there was nothing in the game. One of our players lost his discipline, we went down to 10 men and Dundela ended up winning 2-0. As the season reaches the business end, McAllister knows that his side must hit a run of form sooner rather than later. Sport and Leisure are two points adrift at the foot of the table, but have a game in hand over Queen’s and two games in hand over third from bottom Bangor, who are five points ahead of McAllister’s men. 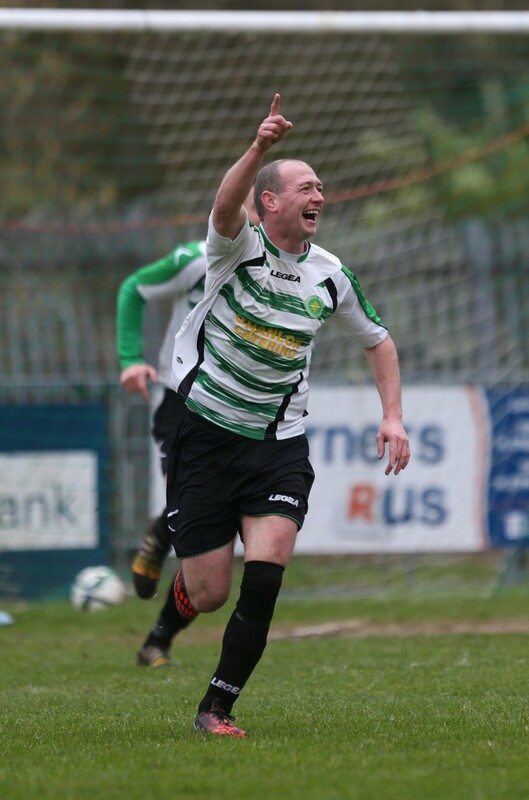 However, Queen’s claimed a 2-1 win over DC last Saturday and McAllister is hoping to get one over on his former club. “Queen’s beat them last week and it shows that every team is capable of beating each other,” said the Sport and Leisure boss. “We went to the Whites and beat them fair and square, but we must be on our game. “It has been one of the most frustrating seasons of my career as a manager. “I have found it really tough because of stupid things we have done. McAllister will be without the suspended James Daly for Saturday’s tie while Gary Largey is doubtful, but Pearse Tully is available after serving a suspension. DC, meanwhile, have a clean bill of health ahead of Saturday’s derby and manager Stephen Hatfield is hoping his side can find some consistency after winning three and losing three in their last six games. “Against Queen’s, it was just one of those games – if we had been playing until now, we still mightn’t have scored another,” said Hatfield. “We were on top for a good 50, 55 minutes of that game. We are disappointed with the result. “It didn’t matter that it wasn’t against a team from near the bottom of the table – it is still three points lost. “That being said, if someone had said last summer that we would be top at this stage of the season and in the quarter-final of the Intermediate Cup, I’d have taken their arm off. “We are very happy to be leading the pack with 11 games to go. “We just need to see it through. “Even though we have led for the majority of the season, nothing is won or lost in February. “There’s still three months of the season left and the 11 games will be like 11 cup finals for us.” Hatfield will be all too aware that a defeat to their West Belfast rivals will be another setback in their bid for promotion following last Saturday’s loss to Queen’s. He is expecting another tough battle at Suffolk Road this Saturday after the sides played out an epic 5-3 encounter in December with DC coming away from Glen Road Heights with the three points. “That a team managed by Packie McAllister is bottom of the league says everything about how tough this league is,” added Hatfield. “They were very hard done by last season, not finishing in the top two. “I know they have had their injury problems this season, but they are still a very good side. “They don’t make it easy for anybody and they are very intelligent in how they go about their game. “We have to give them the utmost respect and I am sure they will be looking to cause an upset. “When we played them in December, every time they attacked they looked like scoring so we won’t get anything easy.” Poker Tournament Donegal Celtic Football Club will be hosting a ‘Texas Hold Em’ Poker night on Saturday, February 25 beginning at 8pm.